Tony Gill has been qualified for over 10 years. 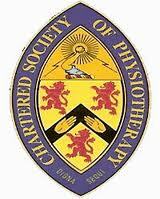 He is State Registered and Chartered, but this is similar for any qualified physiotherapist. Tony also works as an ESP (Extended Scope Practitioner) for North Somerset Primary Care Trust with the MSK Interface service. He works as their Shoulder Clinical Lead in the NHS assessing complex shoulder pathology as well as treating in the private sector. He is also an Injection therapist using this skill to enhance his physiotheraputic modalities and is a member of BESS (British Elbow and Shoulder Society). Tony is the Physiotherapy Advisor to the Jitsu Foundation within the UK. He is heavily involved in training others and has developed "The complete shoulder course, assessment and treatment pulling it all together" which has run with incredible success with his clinical colleague Rhian Witham over the last 3 years. Tony passionately believes in clients having an active role in their rehabilitation which is reflected in his personal and professional approach to assessment and treatment. Currently Tony is learning how to use ultra-sound as an investigation and is already performing ultrasound guided shoulder injections. Tony Gill is not your average physio!